Many thanks to Corbridge Farm Women’s Club! One of my most responsive audiences for some readings from Crab’s Odyssey was the Corbridge Farm Women’s Club. 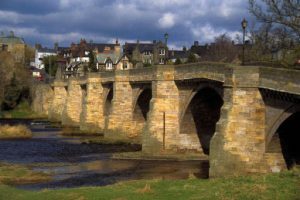 It was exciting to travel up to that beautiful historic Northumberland town and tell them about my sailing adventures in the Mediterranean, 60 years ago. It seemed such an unlikely group to get in touch and ask me to come and speak. The world into which I was carrying them away, only just post-war, was so different from their everyday lives, and that may have been the attraction. The meeting was on 18 October. The discussion was very lively, with lots of great questions and discussions. Some had also visited the area on their holidays, and I wondered how many would be happy if their daughters had embarked on this adventure today in their early 20s. They were lovely hosts and Robin and I loved chatting to them and enjoying delicious cakes. Everyone who attended bought a copy of my memoir book Crab’s Odyssey: Malta to Istanbul in an Open Boat – mostly as a useful Christmas present, after a surreptitious read. ** I have another very exciting speaking event this Wednesday to talk about Crab’s Odyssey sailing book and adventures in a lifeboat in a very appropriate venue. However, the organizers have asked me not to tell anyone as space is very limited. I’ll update you after 15 Nov.